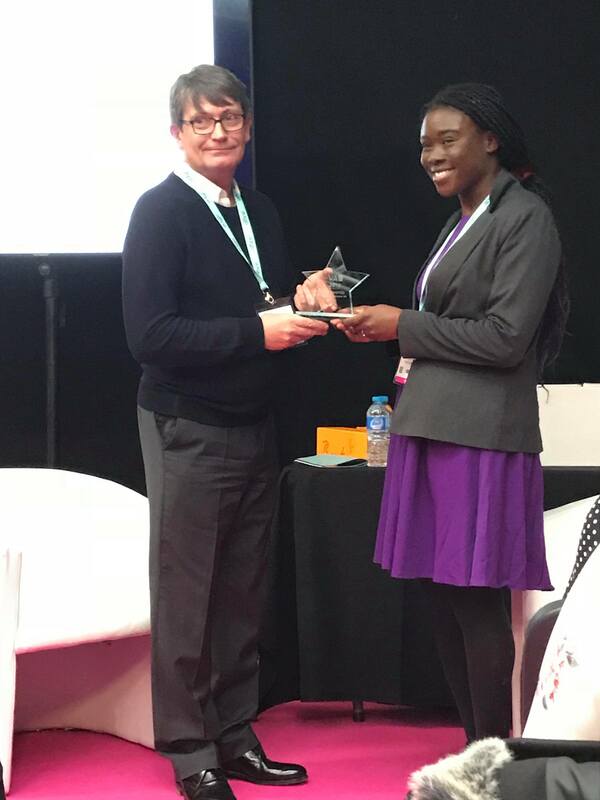 Winner of Best Newcomer VA Award 2018! If you are following me on social media, you probably have already heard this news. 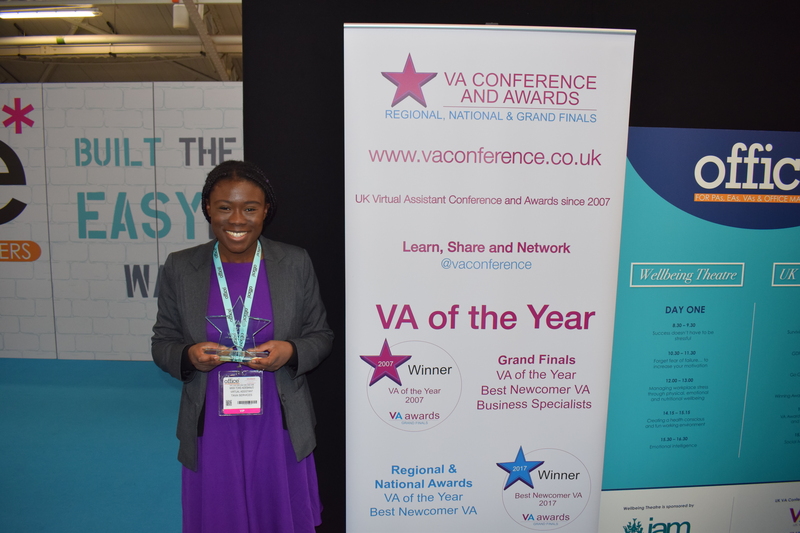 My last blog post was about how I was excited to a finalist in the UK VA Awards. 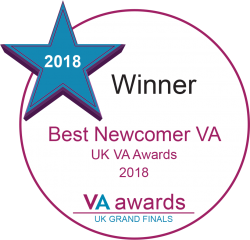 Now I can happily announce that I have gone on to win the Best Newcomer VA Award! I honestly didn’t think I’d even be shortlisted in the first place, let alone win it, so I’m more than pleased with the result! And believe me, there was some stiff competition in my opinion, from what I’d checked out on social media. It’s certainly great validation that some top people in the VA and administration field think I’m doing quite a good job with my business. Of course I have plans to grow even more and reach my full potential – this is only the beginning! I must say, last week was quite an eventful week, asides from winning the award. I had a really enjoyable and insightful time at the Office* Show and VA Conference and I also did some other networking. My trip did unfortunately get delayed by the adverse snowy weather, but it was a nice excuse to spend an extra two days with family. And just when I’d started to feel settled back in Scotland, I’m back to London tomorrow for the Founderfest. One of my clients will be speaking there, and I can’t wait to meet her as well network with more Londoners! Being presented my award by John Palmer, CEO of BeMyVA and chairperson of UK VA Awards. Thanks to Gwen Backhouse for the photos. For any media enquiries, or to inquire about using my services, please get in touch with me at toks@tavaservices.co.uk or 07806449148. Thank you for reading.